This sub section presents the annual flow patterns together with the long term mean annual flow for selected stations within the Nile. Again this has been presented per Sub-basin and it follows the Sub-basin presentation sequence similar to the previous section. The long-term annual flows are shown in the charts. 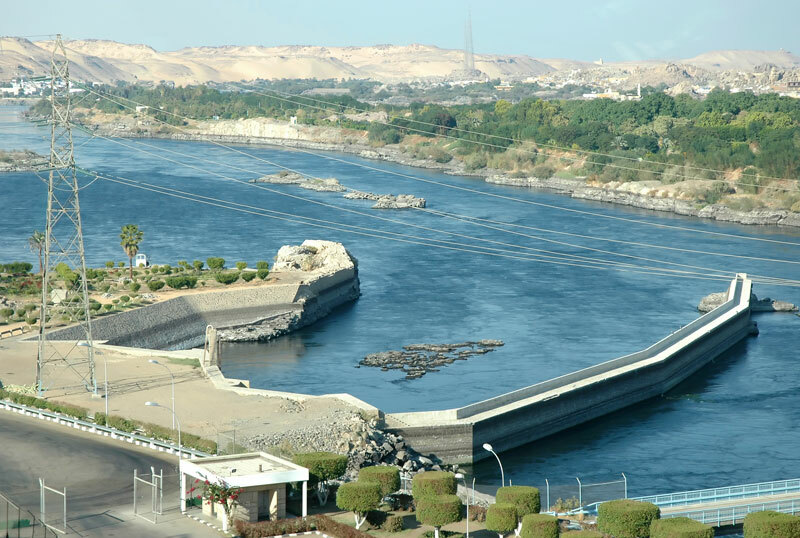 The part of the Main Nile downstream of the High Aswan Dam is fully regulated and, therefore, the flows there are controlled releases for various uses in Egypt. The part of the Nile upstream of the High Aswan Dam is partially regulated by the dams in Sudan. The Nile in this sub-basin is highly altered in its flows due to the abstractions of water for various uses and the flow records no longer represent natural flow conditions. The long-term flow at the Dongola station is about 72 BCM. The average discharge of the Nile into the Mediterranean Sea through its two branches in Egypt is estimated as 10 – 12 BCM per year.